This third week in Uganda has been one of preparation. Almost everyone in the office is either on or preparing for a project trip. There are three projects being initialized in our office this spring which is very exciting and will certainly keep us busy! My project team is packing up and preparing to leave for the Democratic Republic of the Congo early Monday morning. We are a team of engineering and architecture professionals who will initiate the civil and architectural master-planning of a campus for UCBC, the Christian Bilingual University of the Congo. This university was started by a ministry called the Congo Initiative which has a vision to train and develop strong, indigenous Christian leaders to transform their communities and their nation of the DRC. Not only do we have to make sure we have all of the equipment we need for the nine-day trip, I’m also realizing more and more the power of spiritual preparation. I find that every day I need to remind myself of God’s grace. It is so beyond my own comprehension. I’ve recently been reading from Isaiah 46. This chapter really hit me because I feel like I am no better than the Israelites who constantly turned away from God despite the many signs and interventions that God performed on their behalf. Isaiah writes; “Listen to me, O house of Jacob, all you who remain of the house of Israel, you whom I have upheld since you were conceived, and have carried since your birth. Even to your old age and gray hairs I am he, I am he who will sustain you.” And then he asks some tough questions: “To whom will you compare me or count me equal? To whom will you liken me that we may be compared?” And in Romans chapter 8:28-39 there is another reminder – this time about the grace that God provided so that we may be with God. We are reminded that God is working for our good, that he predestined us and calls us and he conforms us to the likeness of His Son. Then Paul writes some questions: “What, then, shall we say in response to this? If God is for us, who can be against us? He who did not spare his own Son, but gave him up for us all- how will he not also, along with him, graciously give us all things? Who will bring any charge against those whom God has chosen? … Who is he that condemns? … Who shall separate us from the love of Christ?” Then Paul finishes with the following statement: “No, in all these things we are more than conquerors through him who loved us. For I am convinced that neither death nor life, neither angels nor demons, neither the present nor the future, nor any powers, neither height nor depth, nor anything else in all creation, will be able to separate us from the love of God that is in Christ Jesus our Lord.” What a proclamation of God’s faithfulness! Even before going on this mission trip, I had a huge feeling of inadequacy in my gut. It was less a nervousness of the architectural work in the office, and more of a question if I was prepared spiritually to do missions. Perhaps I could have been more prepared, perhaps not, but yet God has called me here for a purpose and that is His purpose. I have no doubt that this is where I am supposed to be, and that gives me peace. So in that, to all of you readers who so wish to be involved, and partners in ministry: Please pray that a good relationship is developed between eMi and our partner ministry. Please pray that we can reach decisions smoothly and efficiently about the direction the design will take. Pray that God fill me with a spirit of boldness as I build relationships with people in the ministry and students at the University. Pray that God give me the gift of tongues this week as I serve at times as interpreter, and humility to accept and perform any task that needs to be done with a servant’s attitude. And finally (and this is one you will likely hear again and again), please pray that the work we will do for this project be effective in allowing the University to grow and flourish and accomplish the ministry’s God-given vision. I would like to thank you all for your prayers, support, and encouragement. It really blows me away. I would like to share some amazing news with you all! God has more than provided through the generous support of family and friends, and I have fulfilled my fundraising needs for my three months with eMi. If you were thinking you would still like to support eMi you still can! Any funds donated in my name can either go towards any future involvement I have with eMi, or towards one of their many projects. I have now been in Uganda for two and a half weeks! Time is already flying! 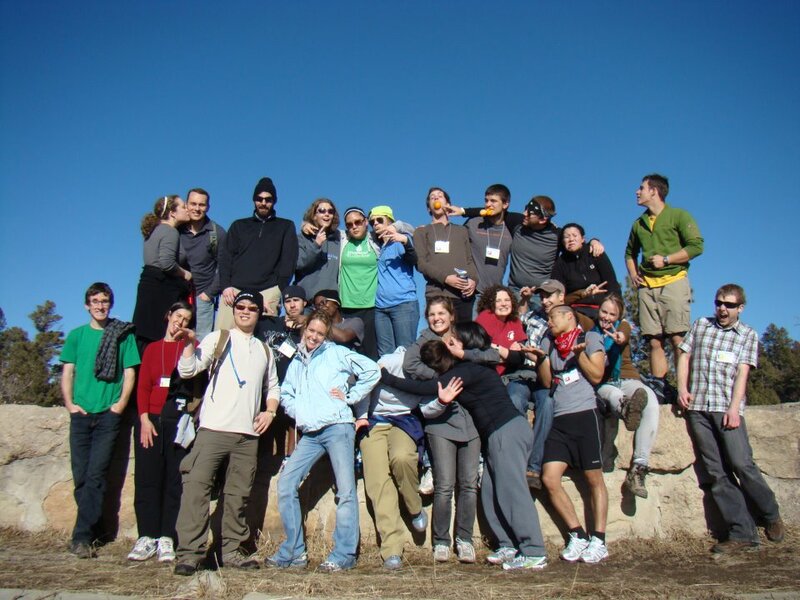 It feels as though it was a decade ago when on January 14th I flew down to Colorado Springs for a weeklong orientation with the 25 or so other interns who are serving at the other offices around the world. It was an unforgettable week. 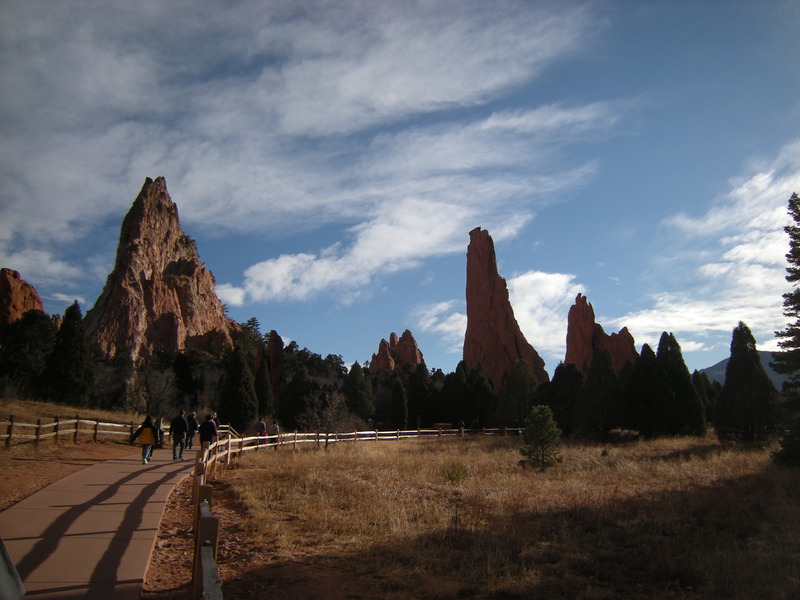 Near the end of my time in Colorado Springs, we visited a place called the ‘Garden of the Gods’ which is an area of large, beautiful red rock formations. It was surreal and I could totally imagine a giant or some other fantastical creature plundering through the almost gravity defying landscape. Already reflecting on orientation week at this time, I felt as though the week was like what it may have been like in the Garden of Eden, or a shadow of what heaven will be like: being surrounded by a huge family of Christ followers, all with a passion to serve God with their gifts. During the week we did many activities together including cultural lessons and games, lessons about missions and the role of eMi, lessons for designing in a developing country, small group times, prayer times, outdoor hikes, and many other things. The days were jamb packed and whenever I could get away between activities I would take time to process it all. It was certainly a lot of information to take in in such a short time. Not only was orientation week a dive into culture, design, and Biblical mandate, it was also a time of spiritual self-discovery. By learning more about myself and studying my personality, my strengths, and my spiritual gifts, I was better able to see what my place might be in the work of the Kingdom. I feel like my nomadic life over these past few years has prevented me from taking on spiritual leadership roles, that I have been in a season of being served and that I will soon move into a season when I will serve. I become melancholic when I think I might not see the people again who I got to know that week. What an amazing group they are! Their faces and enthusiasm are forever engrained in my memory! I thank God that I was able to hear so many testimonies, both from young people like me, and professionals who have years of experience serving in missions and in their respective fields. What a witness to God’s amazing intervention in people’s lives! In formulating my own testimony, I have realized that God has indeed brought me to serve at eMi for a reason. Not only will I be serving people in need by being here, I think that God will really stretch me in the process. Already I am finding I have a greater dependence on God and am hungrier than ever for His Word. I find that at home it is easier to ignore God and do things my own way, while here I have to depend on Him or I will be overwhelmed. I find that I miss Colorado Springs a little bit. It was a beautiful city, quite spread out with the consistent presence of the pre-Rockies looming in the distance. It reminded me of my visit several years ago to Calgary. I love mountains because their majestic presence reminds me that for God anything is possible (Matt 17:20). We had a magnificent view of them from the place we were staying. It can be easy to forget that creation too is God’s handiwork and that through it also He makes Himself known. 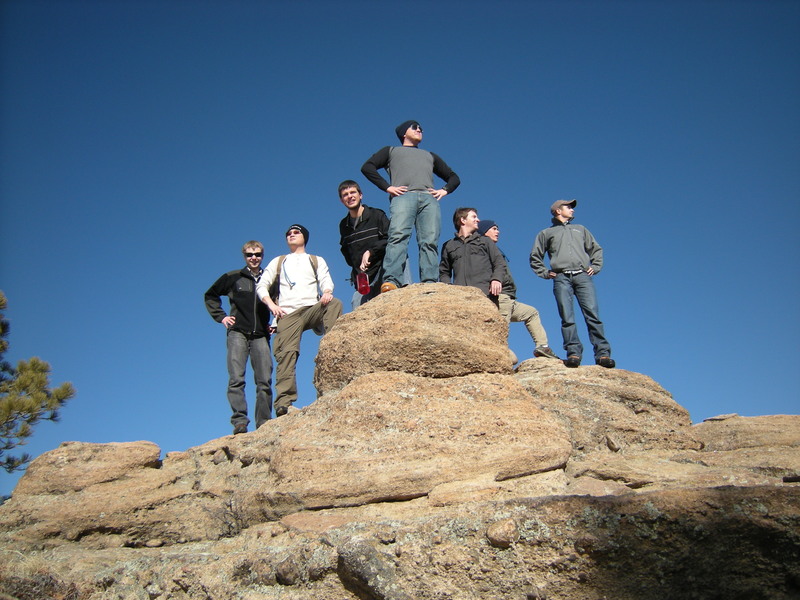 Some of my fondest memories from orientation week are the group hikes in the beautiful landscape, evenings in the hot-tub under the stars with a bunch of interns, and rocking out to music or chatting during car rides – a different set of people every time. The week almost felt like a dream and I almost didn’t want it to end. It was time however to do what I had been called to do. After months of fretting, praying, pondering, fundraising, and at times freaking out, it was time to go serve with eMi in Uganda. It was good preparation for what was to come. I couldn’t imagine jumping right into things here in Uganda without taking a week to solely pause, reflect, and pray. To any of you 2012 interns who are reading this, I miss you and all the very best! I am praying for you all and your work with the other offices. We must keep in touch!